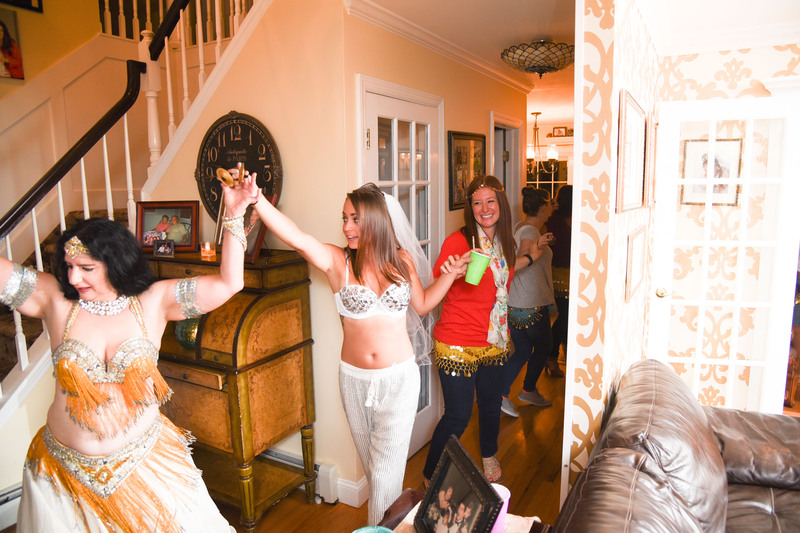 Sabrina's performances will enchant your guests with the elegance, excitement and beauty of her Belly Dance and Bollywood style. An xperienced and skilled performer Sabrina has danced at Swan Club in Roslyn, Mint Resteraunt, Catering Halls and at many house parties. Each performance is created for specificly for your family celebration.. 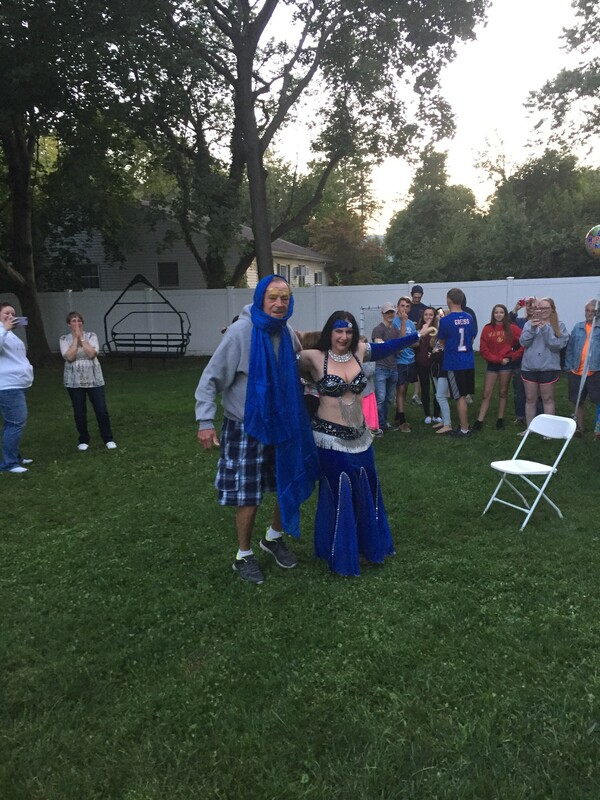 Belly Dance is a wonderful way to celebrate the special events in with family and friends and is appropriate for children, teens, adults, Corporate Event or Fund Raiser, Nursing Home or Senior Center. Show may include LED Wings, finger zills, sword dance, fan veils, candle tray. New choreograpy for Arabia and Mayas by Hanine el Amon. Thank You! It was a pleasure dancing at this special occasion for your family! Sabrina was an outstanding performer and instructor. My guests and I had a fun and entertaining experience and couldn’t stop talking about it all night long. Her instructional technique and added use of props made it easy and fun. She made my goddess party a night to remember. Thank You. 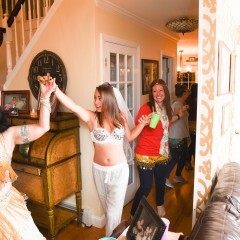 Your Women's Party was a delight to dance at bring joy to your guests! Sebrina’s addition to a 100 y.o. birthday party, came as major surprise along with an unforgettable performance. She engaged all ages (3 - 100) in her captivity presentation. She willingly offered more than expected, for her short time. She transformed a heart filled celebration into a memorable extravaganza. Thank you . Such a wonderful family celebration of 100 Birthday with family and friends. Sabrina beautifully engaged the guests with her movements in our shadowdance box. She used her veils, wings, and pure movement to capture dramatic projections over a very mellow and loungy soundtrack. We were all delighted! Sabrina did a great job of entertaining and engaging our residents and staff. Thank You. It was a pleasure to dance at your Bollywood theme event. 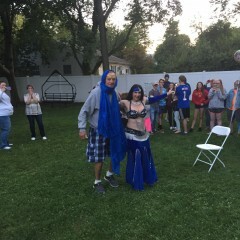 Sabrina was fabulous and performed a variety of dances for my boyfriends birthday party. She arrived on time, no fuss, no muss. Brought her own music and was ready to go. She brought with her a variety of props, such as LED lighted wings, a sword for a sword dance, cymbals and other tools of her trade. She got the crowd up dancing and really made our evening really something special and memorable. Thank you Sabrina! Thank You. Wonderful party for your boyfriend's birthday with his sons and friends in such a lovely setting at Yacht Club. Thank You. Your Hawaiian Theme birthday for you husband at outdoor Block Party was such a wonderful family celebration for your neighbors and friends. She was wonderful!!!!!! !I would use her again! I am super satisfied. The performance was just the right amount of time. She was able to keep the audience engaged throughout. Our members enjoyed joining her on the dance floor; lots of laughs. Sabrina was an amazing entertainer --- days later, my guests are still reaching out to me to let me know how fun my event was. Sabrina made the event booking a breeze with prompt replies and detailed explanations of what to expect within her show. Her show was amazing with wings and fire, and she also provided fun props for my guests to use during our lesson portion. She was fabulous at getting everybody up and involved! Seriously SO much fun! can't thank her enough!! Highly recommend!! Thank You. 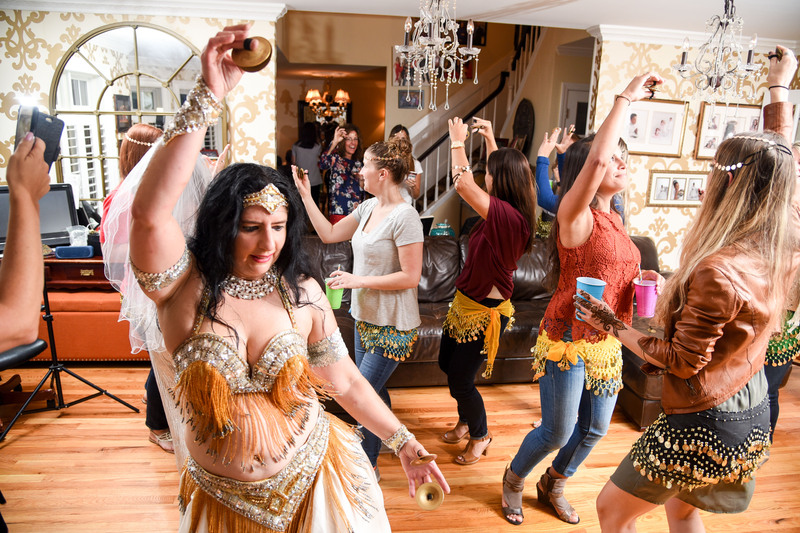 Your Henna Party/ Wedding shower was such a lovely celebration with friends and family. Sabrina was awesome!! Family and friends had a great time. Interacts with all guest. Would highly recommend!! Thank You. Such a lovely surprise party for your father with family, grand children, and friends. Very elegant cocktail party at Dolphin Cove in Bridgeport, CT.
From the beginning of the process Sabrina had very good communication with me. I had to reschedule due to weather and she was very accommodating. Her performance at the party was appropriate for the crowd and everyone had a great time. 30 minute is perfect for most occasions and Sabrina can dance longer if you like. 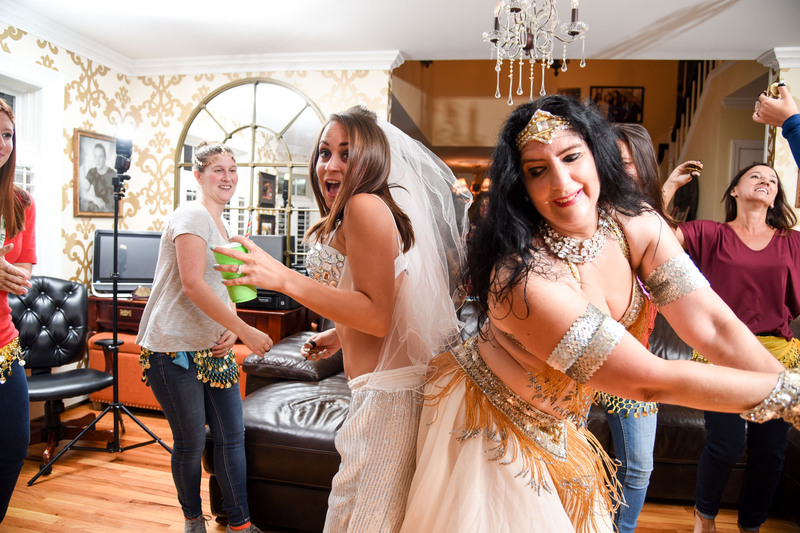 She can include belly dance lesson for women's parties, bridal shower, other events. Sabrina's show begins an exciting entrance and includes a drum solo. Sabrina plays the finger Zills which adds excitement to all performances. Her fun party songs will make your audience want to get up and dance. Her presentation dances with sword, candle tray, candelabra, Fan Veils, Canes, and other props will hold your audience mesmerized while they watch the performance.